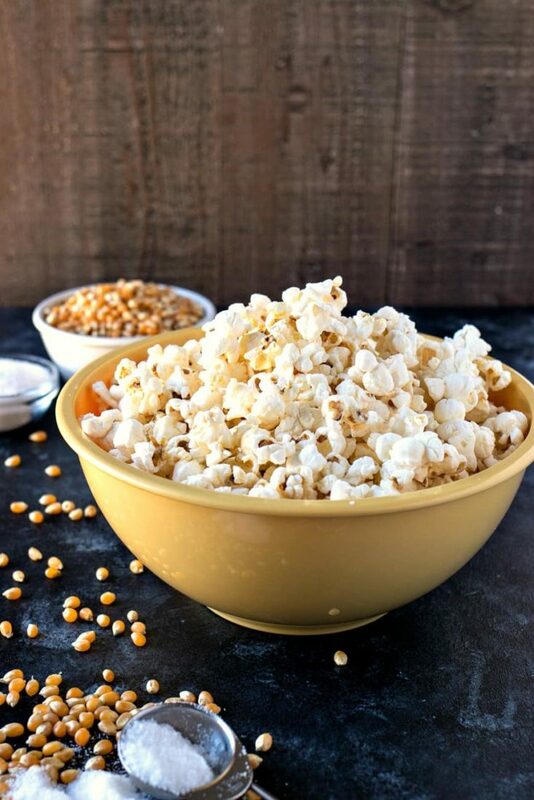 Salt & Vinegar Popcorn – Fresh, homemade popcorn is tossed in sea salt and powdered vinegar to make for a healthy alternative to your favorite potato chip. I’ve always loved making my own snacks at home. 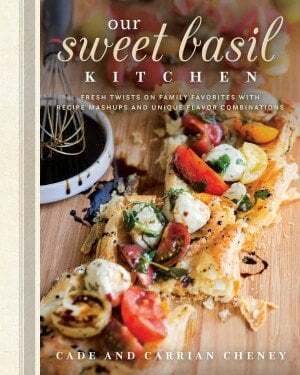 Whether it’s these sage & browned butter pita chips or these garlic parmesan pretzels, I love having the ability to put my own spin on classic snack foods. Kinda like this not so healthy Marshmallow Popcorn. 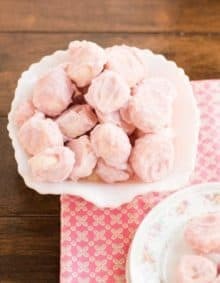 In an attempt to be a little healthier with my snacking, I decided my next homemade creation would take my favorite potato chip flavor and toss it into some low fat, homemade popcorn. And thus, my Salt & Vinegar Popcorn was born! When I first got the idea to toss popcorn with vinegar, I was a little nervous of how that would work out. 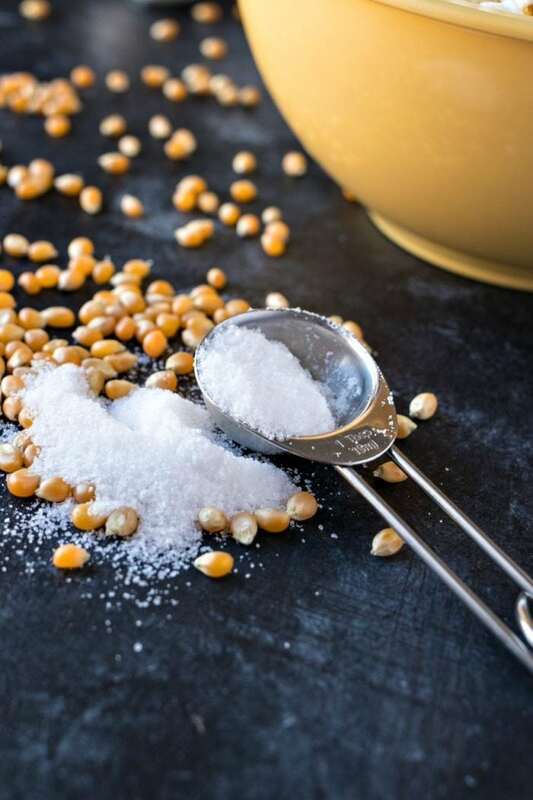 Would the vinegar make the popcorn soggy? But then I discovered powdered vinegar and it changed everything. It’s a concentrated form of distilled vinegar but in powder form instead of a liquid form. So all I had to do was make some fresh popcorn and toss it in some sea salt and vinegar. Simple as that! 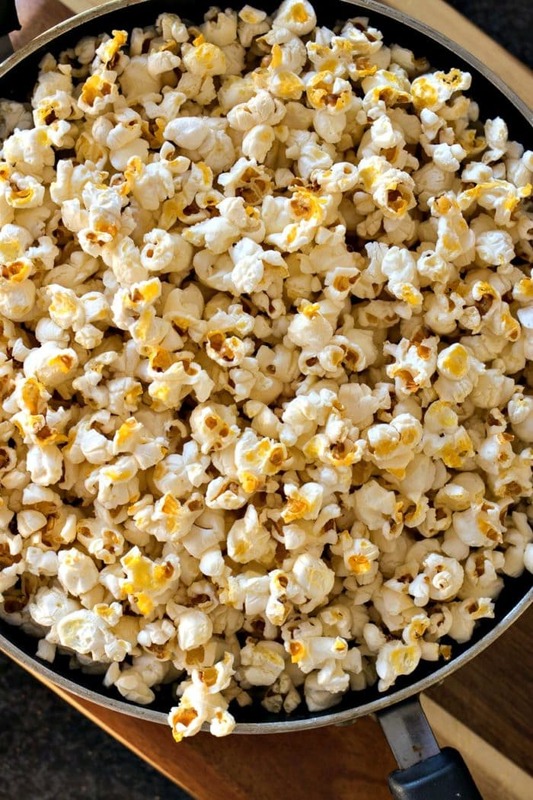 No worrying about soggy popcorn anymore! To pop my own popcorn, I simply did it on the stove with a saute pan that has a lid. That’s it! No fancy equipment! And it only takes 5 minutes to do. 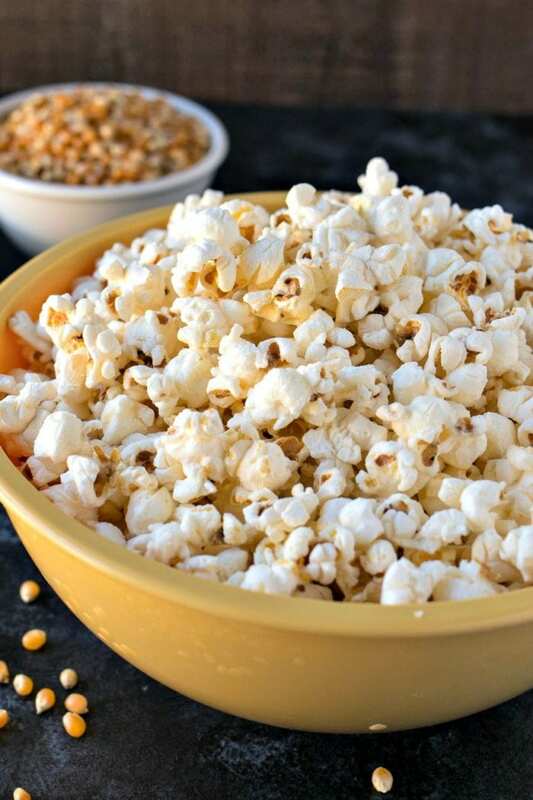 After you see how easy it is, you’ll be making homemade popcorn all the time! 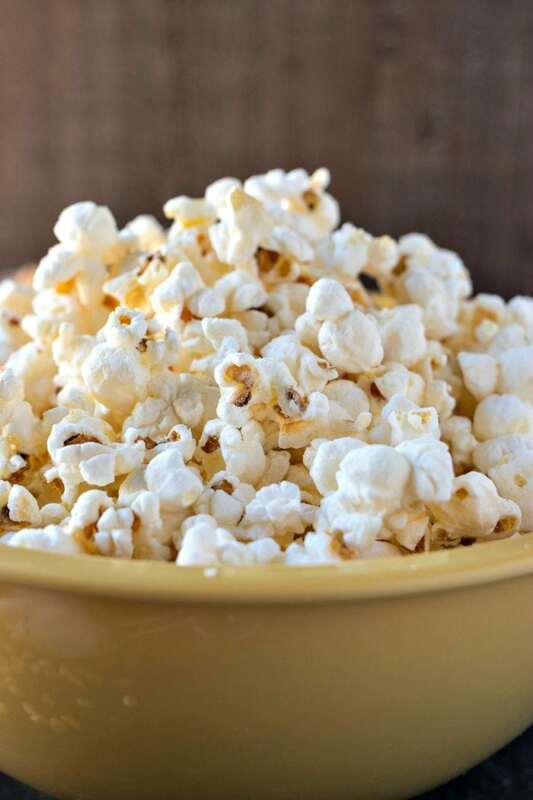 Fresh, homemade popcorn is tossed in sea salt and powdered vinegar to make for a healthy alternative to your favorite potato chip. In a shallow saute pan with a lid, heat oil on high heat and add two kernels to oil. 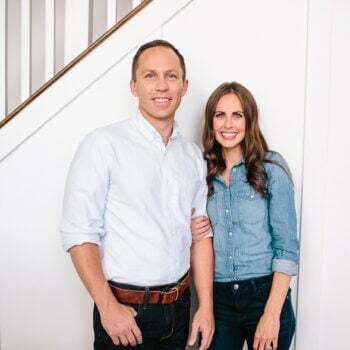 Cover and wait for them both to pop. 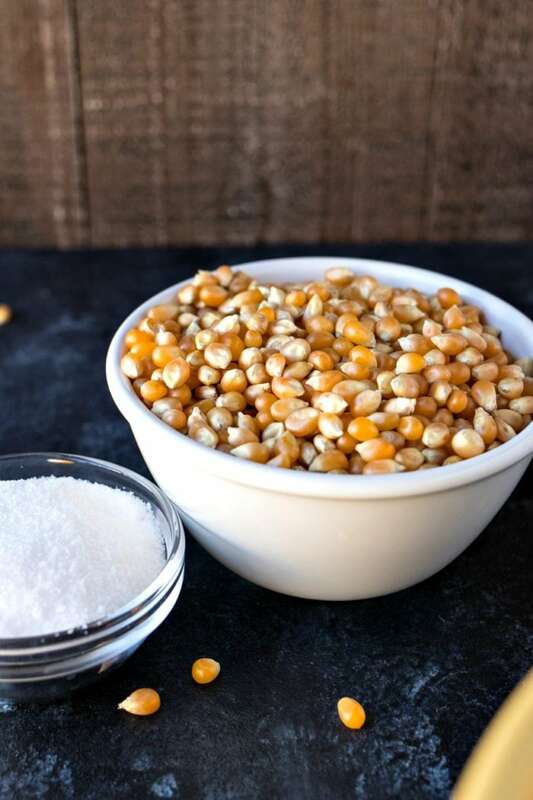 Remove from heat and remove popped kernels. Add rest of kernels to pan, cover and let sit in oil, off of the heat, for 1 minute. Place pan back on high heat and shake to ensure even heating. Kernels should begin to pop within a minute or so and will pop really fast. Remove from heat once done popping or when popping slows significantly. Let sit off of heat for 1 minute. Pour popcorn into large bowl to help it cool down. Pour cooled popcorn into gallon storage bag. Add sea salt and powdered vinegar into bag and seal bag. Shake until evenly coated. 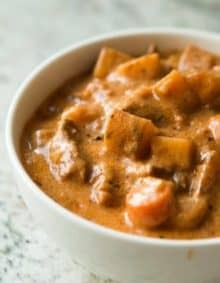 Eat immediately or store for up to 2 days. 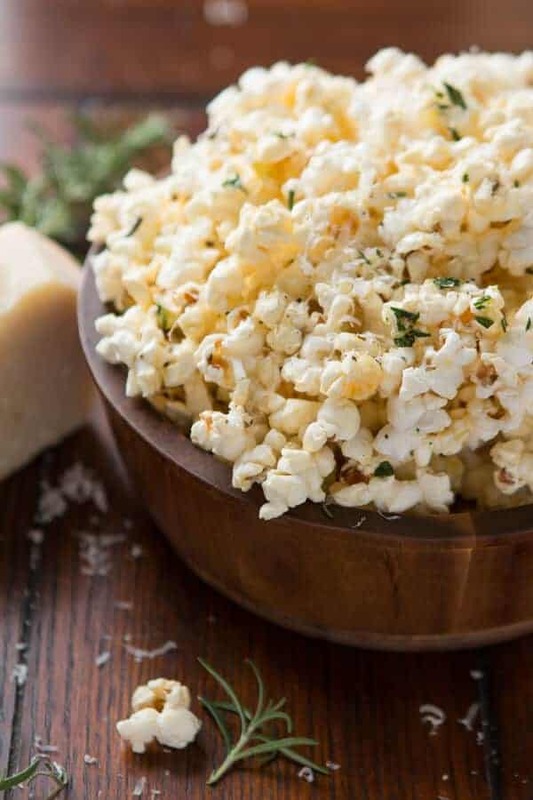 Everyone goes nuts for our Marshmallow Popcorn so it was high time to find the best savory popcorn recipe, and this rosemary parmesan popcorn is it! 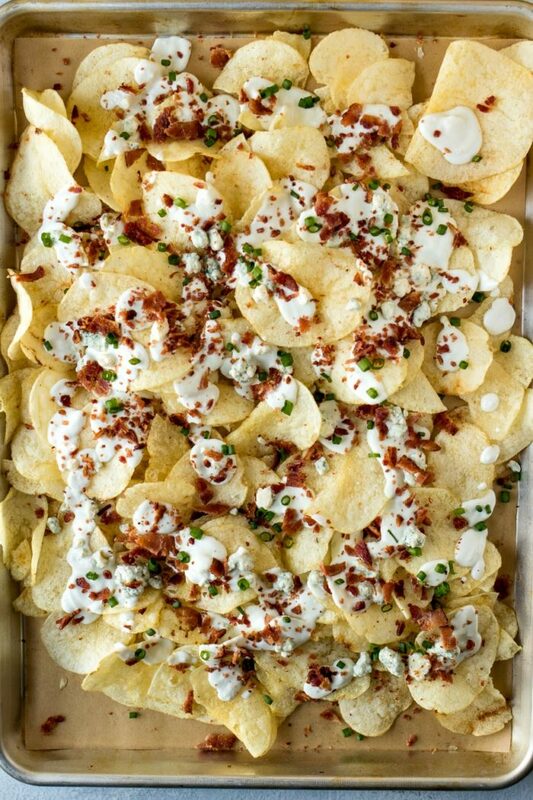 Classic potato chips are covered with a homemade blue cheese sauce, blue cheese crumbles, bacon, and chopped scallions. 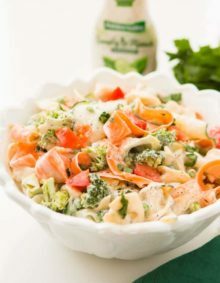 It’s the perfect snack to feed a crowd during the big football game! It’s the first time I’ve heard about the vinegar can mix with popcorn! I often enjoy cheese popcorn with my boyfriend made by us in the movie night on Sunday.